The only thing stopping the Killamix Mini scoring higher is its price tag. It´s a superb ‘boutique´ MIDI controller in every other respect. Tough and compact. Massive number of controls. Channel switching is brilliantly implemented. Copious setup options. USB class-compliant and bus-powered. Perfect for Live DJs. MIDI controllers have come on in leaps and bounds over the last few years. Rotary club Kenton's Killamix Mini (the little brother of the forthcoming Killamix DJ) is aimed primarily at the laptop DJ and is a very straightforward proposition indeed. A class-compliant USB unit that measures a dinky 12.6"x2.6"x1.8", it features nine rotary encoders, nine buttons and a joystick. There's no fancy auto-mapping, no automated faders, no software editor and not even any sort of display - just an array of illuminated controls sending out fixed MIDI CCs across 16 MIDI channels. What puts the Killamix Mini in a niche of its own is the brilliantly simple way in which it switches between these channels: each numbered encoder is also a button, and pressing one sets the whole unit to channels 1-9. Holding down encoder 9 and pressing one of encoders 1-7, meanwhile, gives you access to channels 10-16. What this all means is that you actually have 144 knobs, 144 buttons and 16 joysticks at your fingertips. You can switch between 16 banks with the encoders (rather than digging through menus or up/down stepping), and crucially, the encoders have channel indicator LEDs above them so you always know which bank you're currently on. The encoders are 'endless' and finely stepped, but operate at a range of resolutions depending on how quickly they're twisted (small steps when slow, bigger jumps when fast). 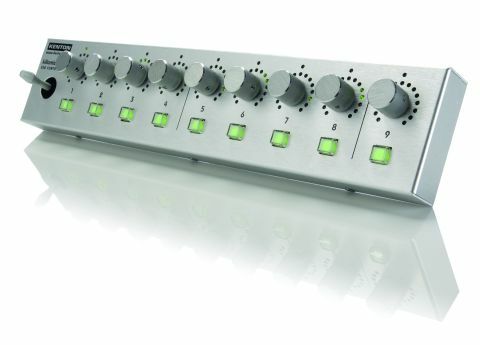 Each encoder is surrounded by a ring of LEDs that lights to indicate the current value (from 0-127) of that MIDI CC. Values are remembered when the MIDI channel is switched, and communication with the host software is two-way. This means that if you change a parameter onscreen that's assigned to an encoder, the encoder and its LEDs will reflect the change (assuming your DAW outputs corresponding MIDI data from parameter changes). The Killamix Mini has been designed with software MIDI learn functionality - specifically that of Ableton Live - and ease of use in mind. On both counts, it's a great success: the unit is solidly built, feels immediately intuitive and delivers an incredible amount of control for such a small device. Our only criticism is reserved for the price, which does seem very high in the context of the current controller market. However, the Killamix Mini is made entirely of metal (right down to the encoder spindles), features a lot of LEDs and is manufactured in the UK. All good reasons, we're sure, but the fact remains that it is still a pricey controller. Fortunately, it's also a truly excellent one.